Zombies. Terrorists. Super-secret spy agencies. ACTION. 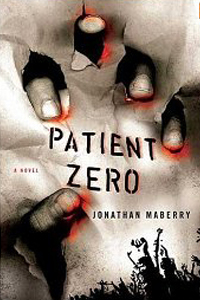 In Patient Zero, Jonathan Maberry has found a crossover so obvious, and so perfect, it is astounding it hasn’t already been done to death: the zombie apocalypse techno-thriller. Take one part pulpy grocery-store bestseller about the world’s most high-tech spies facing off against the world’s most desperate terrorists. Add an equal amount of classic zombie apocalypse scenario. Stir well, garnish with a Bond-worthy supervillain, and voilà! Patient Zero. 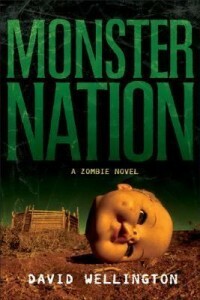 And in the saddest of all possible news, this week’s Inevitable Zombie Podcast was lost in a terrible computer-related incident that induced much swearing. Look for a special, super-sized podcast to return next week. Or look for a lot more swearing if it happens again.